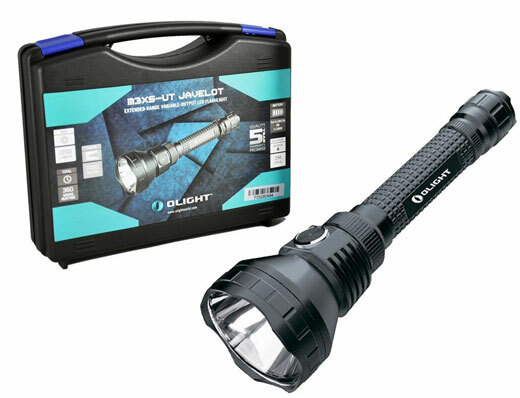 Oma loves that this well-built LED Flashlight is so very sturdy yet lightweight. It is built out of aircraft-grade aluminum and features a flat - lo-profile side-switch. In the middle of the switch is a red power indicator that glows to inform you that the flashlight has run out of power. 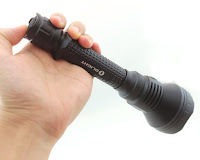 This flashlight is easy to use; just press and release the tail switch to turn the flashlight on or off. 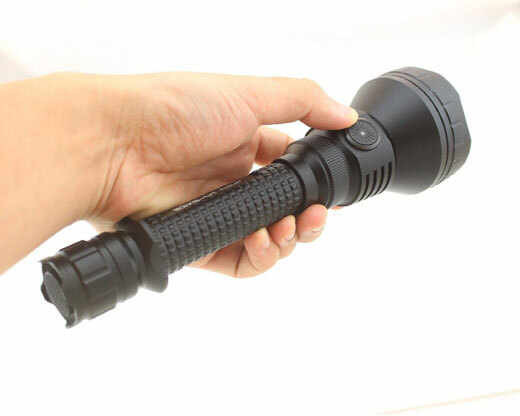 For your convenience the flashlight will shine at its previously selected mode. 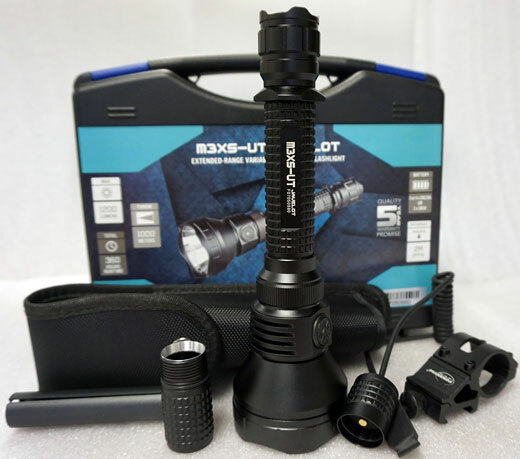 It also offers four brightness levels from 3 to 1200 lumens plus a strobe mode. 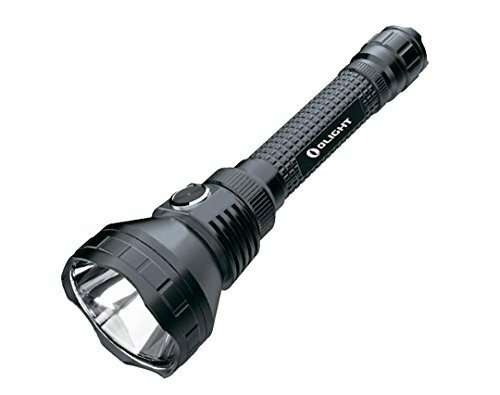 Tip: If you hold the side-switch down for a second, you will activate the strobe; quick click through the brightness level modes. 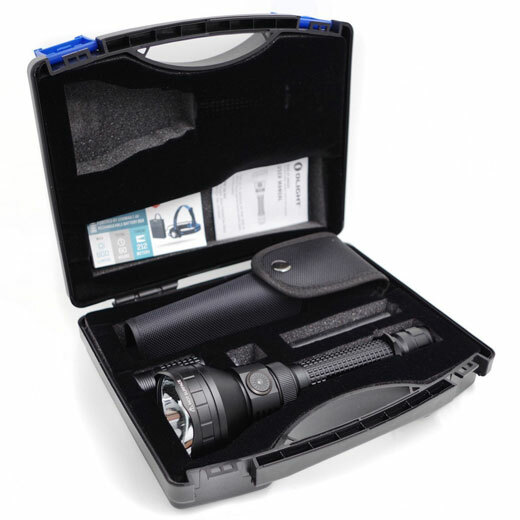 Your package comes with a M3XS-UT Flashlight, Spare O-Rings, Extension Tubes, Owner’s Manual, Battery Magazine, A Holster and Legionarms Offset Mount & Pressure Switch. 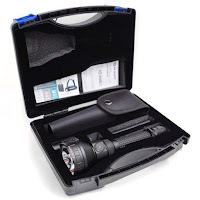 All is housed in a high-quality plastic case. Your purchase does not come with batteries. Three CR123A lithium batteries or two 18650 lithium ion batteries are required. For 5% Off Your Purchase! Comes with a five-year warranty promise and is water proof. 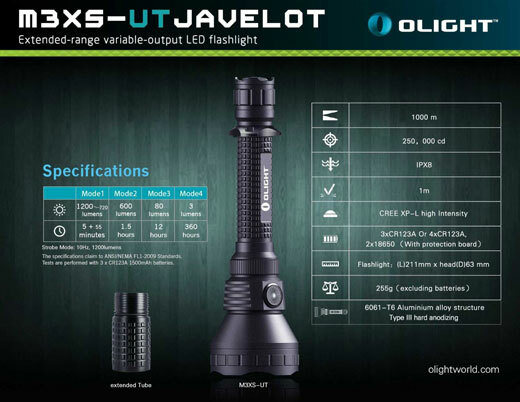 High-End, High Quality Illumination Tools Accessible To The World.